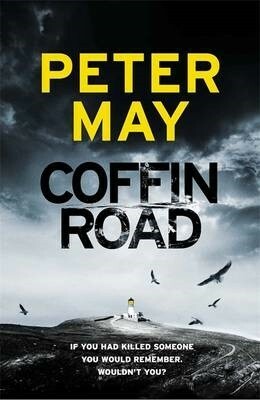 Acclaimed crime writer Peter May writes about the Isle of Harris, the setting for his soon-to-be published new book, Coffin Road. 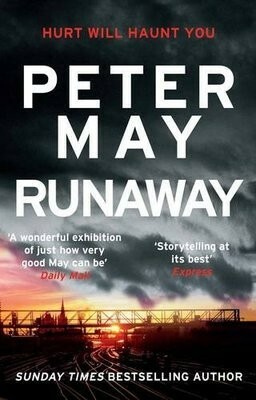 After the Glasgow to London road trip in my last book, Runaway, I was ready to return to the Outer Hebrides. For a long time I have had a very vivid picture in my mind. A man washed up on the vast expanse of the stunning Luskentyre beach on the Isle of Harris. When he regains consciousness and staggers to his feet, endless unspoilt sands stretch out to a turquoise ocean behind him. Ahead, dunes and mountains rise up all around. But in the midst of this breathtaking natural beauty he is crushed by a dark sense of dread as he realises he has no idea who he is, where he is, or how he got there. An opening scene is one thing, but I also had a story that I wanted to tell, and there were very few places in the world that could to provide the perfect setting for telling it. I had very specific requirements. I needed a location that was free from large- scale farming, somewhere that was uncontaminated by pesticides and agricultural chemicals. Somewhere pure. It also had to be remote - well off the beaten track, wild and untamed. Where better, then, than one of my favourite places on earth - the Isle of Harris, and the opportunity that would afford me to realise my vision for a dramatic opening to the book. To research it I rented a cottage right down on Luskentyre Beach. I walked the Coffin Road - which would provide the title for the book - a trail taken by people living on the rocky east coast of the island as they carried their dead to bury them in deeper, more accommodating soil of the west. I spent part of my time doing research and reading up on my subject, and the rest of my time walking the sands and climbing the hills while I pondered how to approach the story I wanted to tell. Flannan Isles, 22 miles oﬀ the coast of the Hebrides, in December 1900. But the main thrust of my tale was to be one that had been gnawing at me for a number of years. One of my expert advisors, who has been providing scientific guidance for my books since the late 1990s, is Professor Joe Cummins, professor emeritus of genetics at the University of Western Ontario in Canada. He is one of the foremost scientists involved in the campaign to protect agriculture and the environment from the contamination of genetically modified crops and the blanket use of pesticides. Several years ago he was one of the first scientists to address the European parliament on the dangers to our dwindling bee population, and the repercussions for the world if no action was taken. At that time, he alerted me to the potential disaster that was looming. Along with other insect pollinators, the bee is responsible for the production of two- thirds of our crops. Without bees there would be widespread famine. Little was known about the reasons for dwindling bee populations back then and research was needed. A few years down the line and bee colonies have been disappearing in greater numbers all over the world. There are many reasons for this: changes in farming methods which have destroyed their natural foraging habitat; disease, often spread by unregulated transportation of bees around the world; the changing climate. But above all, the use of a new breed of pesticides called neonicotinoids. The body of scientific evidence that points towards these pesticides as being primarily responsible for the decimation of the bee is now overwhelming. But with many billions of dollars at stake, the agro-chemical industry will go to any lengths to shelf the evidence and discredit the scientists who are bringing it to light.